As I go through my wedding checklists, I find myself most excited in daydreaming of all the fun things I can personally make to give our wedding some personal touches. 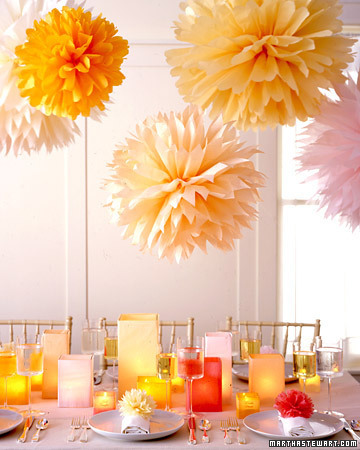 I have been googling images of wedding reception decorations, gift favors, and more - to get inspiration of ideas of things I could make for my own wedding! 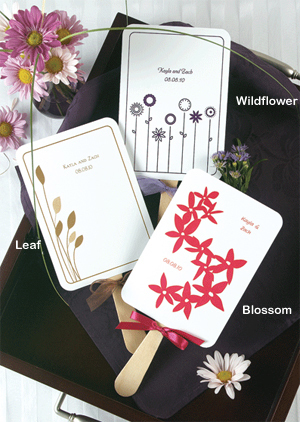 For example, since our wedding will be an outdoors, summertime wedding - I thought it'd be great to make something similar to these programs that double as fans to help cool down our guests during the ceremony! 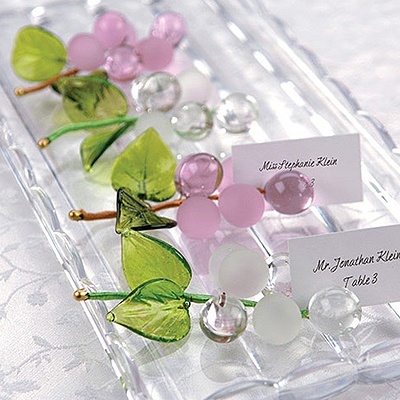 If only I had the time - I think making some place cards similar to these would really make our reception stand out! 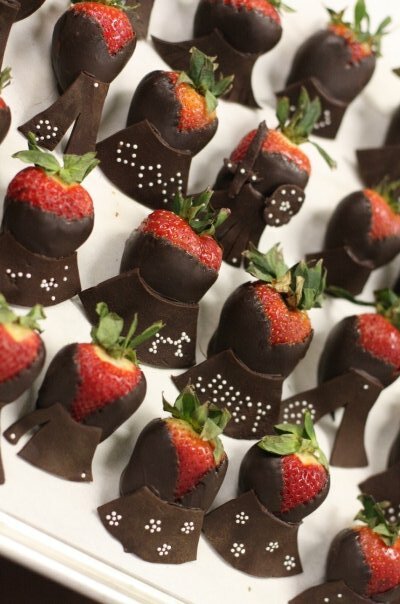 These funny strawberries were actually from a social gathering I went to, and think it'd be such a fun idea to serve such unique tasty treats at the wedding. There are so many fun things to think and daydream about! Now if only I had the time to handmake it all!